Want to plan a birthday party in Minneapolis but you need to know where to throw it? Planning a birthday party on a budget? Check out the exciting option of playing paintball inside at Air Assault Indoor Paintball in the Twin Cities! Sort out all of the hassles of scheduling a birthday party in Minneapolis and book a party indoor. Don’t worry about the weather or bugs. Have the party be a hit with both kids and parents! 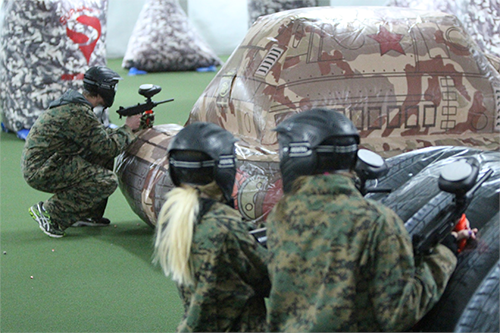 Face off with your group in the largest indoor paintball field in Minnesota. 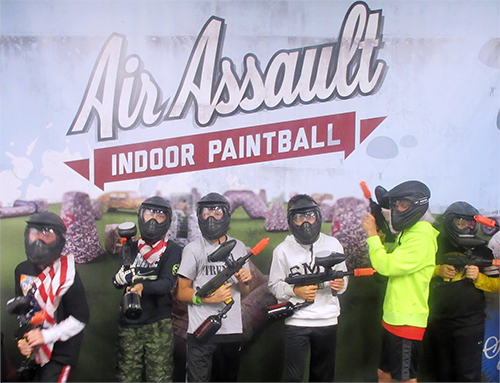 With Air Assault Indoor Paintball in St. Paul, you will find the best possible birthday party in Minneapolis that is great for anyone.. Odds are, once you bring them out to the Air Assault Paintball location, you are going to learn that we have now every little thing which you may want in terms of birthday parties. We have and include all of the safety gear in reasonably priced paintball packages. The facility provides up all of the necessary amenities for the whole group. Play paintball or hang out in our lounge area. Watch T.V., use our WiFi or watch people play from our spectating areas! Paintball is a safe birthday party option in Minneapolis. Stay safe, clean and have fun hiding behind castles and urban combat walls. Be the parent of the year and plan a paintball birthday party in Minneapolis St. Paul. Regardless of whether you together with the birthday party boy or young lady, adore paintball or are a first timer chances are this birthday party celebration is going to be a thing that nobody will forget. After all, this kind of a party is going to be extremely entertaining, along with the possibly of leaving wanting to play more! Not too many other options for a birthday party in Minneapolis permit you no time limit and no group size requirements. Paintball is great for multiple gathering such as birthday parties, bachelor/bachelorette parties, corporate team building, and youth groups. We can accommodate groups larger than 100 people all year round. Schedule your next paintball birthday party in Minneapolis St. Paul at Air Assault Paintball now! Book online easily today! Make sure you give us a call at 651-222-0300 with any questions you may have.